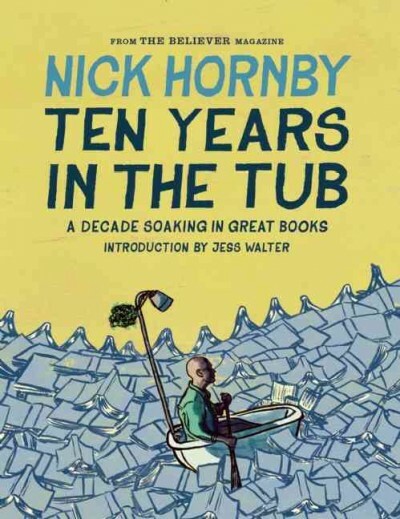 In Ten Years in the Tub Nick Hornby mentioned a number of books that sounded like ones that I would like. 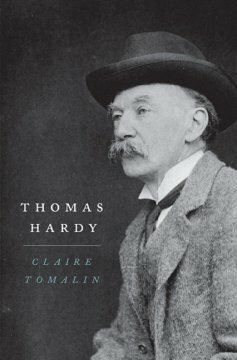 First on that list was Claire Tomalin’s biography of Thomas Hardy. WRL had a copy, so I took it home and dove in. While Hardy is known to most readers as a great novelist, I am more partial to his poems. In either case, readers will come away from Tomalin’s superb book with a better understanding of Hardy’s life and writing. It is always interesting to see how much a writer’s personal life is evidenced in his or her fiction. Tomalin does an excellent job of pointing out both how Hardy’s relationships with his family, his friends, and his geographic circumstances not only informed his writing, but sometimes appeared directly in the stories and poems. It is often the case when reading a biography of an artist whose work you enjoy that you run the risk of disappointment in their personal life. Does it really matter to your enjoyment of his writing that Hardy and his wife had a difficult relationship, and that he was hardly blameless for their problems? I think that the further away in time that you get from the person the easier it is to separate out the personal and the artistic lives. So for me, the revelations about Hardy’s prickly personality set the poems and novels in a new context, but did not reduce my pleasure in them. [Hardy’s poems] remind us that he was a fiddler’s son, with music in his blood and bone, who danced to his father’s playing before he learnt to write. This is how I like to think of him, a boy dancing on the stone cottage floor, outside time, oblivious, ecstatic, with his future greatness as unimaginable as the sorrows that came with it. I am feeling very meta-…, writing about a book that is about writing about books, some of which are about writing. I have a great affection for essays and my library at home has lots of examples from Montaigne to Abbey to McPhee to the Whites (E.B and Katherine) and many more. When I came across this collection of Nick Hornby’s essays on books he has read, written originally for The Believer magazine, on the new book cart, I checked it out, immediately realized I needed to own it, and went to the bookstore and bought a copy. Hornby’s column, “Stuff I’ve Been Reading,” has been running more or less monthly since 2003 and covers just that–books that Hornby has read in the past month. Each essay begins with a list of books purchased that month and then a second list of books read. Hornby then proceeds to discuss those two lists and anything else that comes into his agile, inventive, and always entertaining mind. There are two ways to read books like this. First, you can look at the lists the author offers, and count how many titles you have read, or at least heard of, reveling in your superior literary tastes. This is the competitive, ego-driven option. Or, you can step back, read the essays, and start making your own lists of titles mentioned that you ought to go right out and get and read. This is, of course, the more mature way to read the book. OK, I did both. Hornby is a font of great ideas for books to read as his interests, his own protests to the contrary, go beyond football (by which he means soccer) and rock-and-roll. From all types of fiction to a fascinating array of nonfiction, Hornby’s descriptions of his monthly reading are filled with titles I want to read right now. As The Believer‘s “About” page indicates: “We will focus on writers and books we like. We will give people and books the benefit of the doubt.” So the reviews here are generally positive, and that is great. I would much rather hear about why I should be interested in a particular book or writer than why I shouldn’t. This is also a book about what it is to be a reader, and Hornby captures all the ups and downs of the reading life–those times when you just cannot get through a book and the times when you start a book and the next thing you know it is 3 a.m. and you are still reading. Hornby understands and conveys with humor the times when life gets in the way of reading. Spouses, children, deadlines, one’s own work, and, yes, the Arsenal vs. Manchester United match, all have a way of derailing our reading time. That being the case, it is great to have a guide as thoughtful, eloquent, and passionate as Nick Hornby to offer some possible titles to get you back on the road to reading.